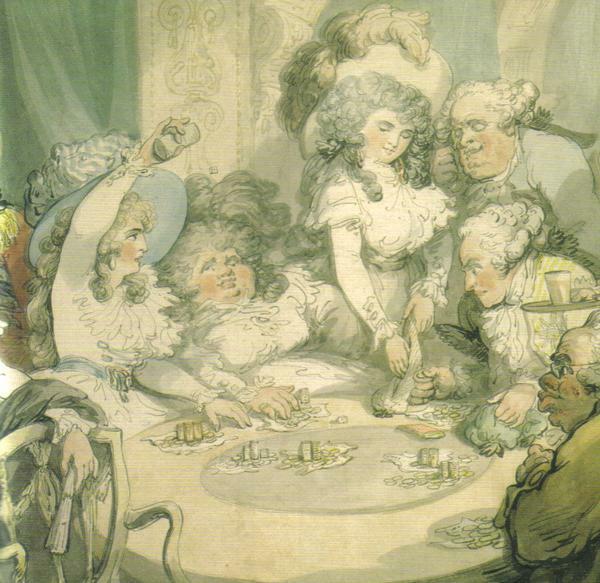 In the Georgian Era, gambling was endemic among the upper classes. “A thousand meadows and cornfields are staked at every throw, and as many villages lost as in the earthquake that overwhelmed Herculaneum and Pompeii”, wrote Horace Walpole. Unfortunately, Georgiana didn’t listen. She lost a fortune at the gaming table, and was constantly in debt. Afraid to confront her husband, she often borrowed money (which she never paid back) from her friends (including the Prince of Wales) to settle them. At her death, she was said to own today’s equivalent of £3,720,000!